With an easy-to-use, reliable and beautiful layout, Windows 8.1 is the latest operating system from Microsoft. Learn more about handy functions and why you should upgrade to Windows 8.1 today. What Differences Will I Notice With Windows 8.1? 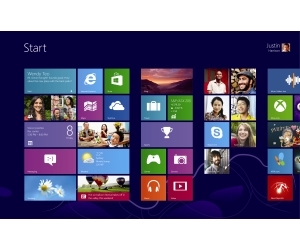 Multiplatform: Windows 8.1 has been designed to run on a range of hardware. It runs on tablets and laptops to large all-in-one desktops. You can control your device with a mouse, keyboard or touchscreen. Start Screen: You can keep all your important information in the one place on the Microsoft Windows 8.1 Start screen. Organise your contacts, photographs, music and more. Finding and viewing files is easier and faster than before as you can personalise the layout of your home screen to keep your most used apps handy. Live Tiles: With live tiles on your Start screen, you receive real time updates on all your apps. With the information front and centre on your screen, you can always know what's going on in your world. Cloud-connected: Windows 8.1 runs on a cloud network, which means you can sign into any other Windows 8.1 device and access all your documents and apps. Switch between Windows 8.1 devices – from PCs to tablets - and enjoy complete flexibility when working and playing. Will My Computer Perform Better With Windows 8.1? Everything you loved about Windows 8 – speed, power, security and apps – is even better with Windows 8.1. Microsoft Windows has evolved to deliver a completely immersive, intuitive and personalised user experience. What Are The Touchscreen Capabilities Of Windows 8.1? You can swipe, drag, press and hold, tap buttons, slide, pinch, stretch and rotate items using your fingers. To use this feature of Windows 8.1, you'll need a touchscreen monitor. For both touch and mouse features you can zoom, select and utilise handy charms at the side of the page for your most used features. What Are The Different Versions Of Windows 8.1? Windows 8.1: Suitable for the majority of consumers. Includes all standard features, including Start screen, cloud-connect, live tiles and Windows Store. Windows 8.1 Pro: Designed for business professionals and tech enthusiasts. 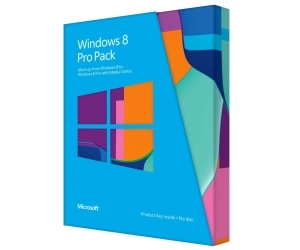 Includes all Windows 8.1 features plus tools for encryption, virtualisation, PC management, domain connectivity and Remote Desktop Connection. Windows Media Centre is also available as an add-on to Windows 8.1 Pro. Windows 8.1 RT: This single edition is only available as an update on PCs and tablets that already have Windows 8 pre-installed. It also includes touch-optimised desktop versions of the new Microsoft Word, Excel, PowerPoint, OneNote and Outlook. Windows 8.1 Enterprise: Designed for businesses using both tablets and PCs in the workplace and at home. Side-load apps on domain-joined PCs or tablets in the workplace and enjoy the ease of access of having Windows 8.1 Enterprise desktop on a bootable external USB drive. What Are Some Other Benefits Of Windows 8.1? Greater app-snapping: There is a larger selection of apps that are compatible with app-snapping, allowing for greater multi-tasking. Internet Explorer 11: Make the most of its fast and fluid responsiveness and first ever touchscreen browser. Enjoy greater security and privacy with SmartScreen technology. Efficient Power Usage: Windows 8.1 can run on low-power CPUs which means connections are stronger and battery life is longer on both speedy desktops and low-power tablets. Desktop Mode: For those who prefer the old interface you can change from tiles into Desktop Mode, including the return of the Start button. Group apps: Now you can assemble your apps into appropriate groups, giving easier access and better organisation. Can My Existing Computer Run Windows 8.1? Will My Old Applications And Games Run On Windows 8.1? 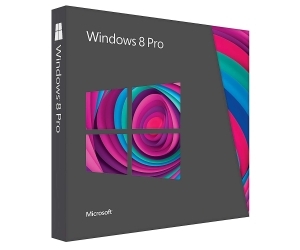 If your PC is running Windows 8, your files, programs and settings will easily transfer to Windows 8.1 Pro. If your PC is running Windows XP or Windows Vista, you will need to reinstall your programs. Some features such as touch maybe require a new PC. Ensure you check the System Requirements prior to installing any software. How Do I Install Or Upgrade To Windows 8.1? Upgrading is easy, simply visit the Windows Store and click on the Windows 8.1 or Windows RT 8.1 update. The upgrade is free for those upgrading from Windows 8 or Windows RT.